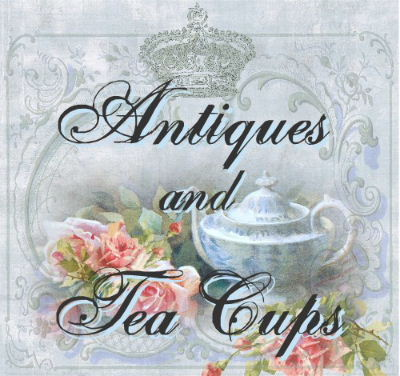 Happy Teacup Tuesday and Tea Pot and Tea Things Tuesday, And Teatime Tuesday and welcome to all the wonderful tea related blog parties! 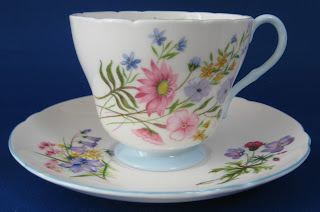 Today I am sharing the Wild Flowers pattern by Shelley China, England in the Henley shape with blue trim made between 1940-1966. 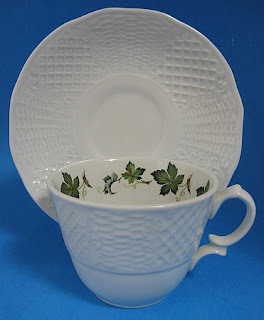 It is so nice having several pieces in the pattern. 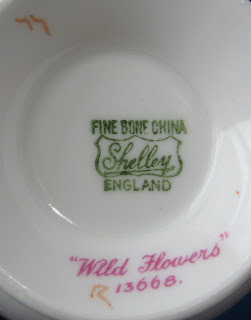 To see more of the Shelley Wild Flowers teapot of teacup or more Shelley items click on the photos to visit my website Antiques And Teacups. 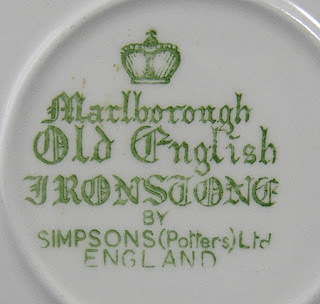 I picked these up in the Cotswolds town of Burford at a monthly antiques market at the local church hall we have hit several years in a row. 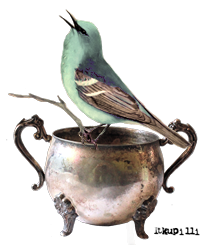 You park by the river, wander through the chattering ducks up the small lane to the high street and into the church yard which is just across from one of our favorite tea shops...we always stop there after the faire for tea. The shop is Huffins Bakery & Tea Rooms. Lovely! I hope you can read the menu...We love them all. Then there are the cases of baked goods for take away or a daily special board of luncheon items and for take away as well. 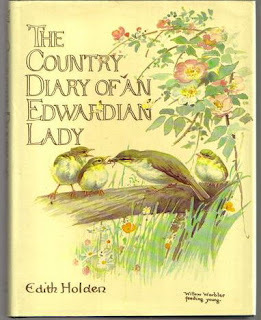 We have often stayed at a rental cottage within a few miles and often take food for the evening home from Huffins. Well worth the trip! Today is Memorial Day...a day to remember the sacrifices many have made for the freedoms and way of life we take for granted. This is a patriotic wreath I made several years ago that comes out for the front door during holidays. It is made of a styrofoam base, folded pieces of gros grain ribbon applied with pins and wrapped with a mini metallic silver shooting star garland. Any plans for today? Am still recovering from oral surgery so no big plans...catching up on a lost week, I guess. It's gray today but supposed to be clearing so we will take a walk and generally enjoy a relaxing day. Our sunroom has been lovely...in the 70s...the last few days & we spend the afternoons in there. Here in the Pacific Northwest, it's why we were thrilled to have one on the house. 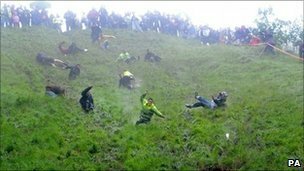 And just blogged on my other blog, Time Was Antiques Family blog, about the Gloucestershire England cheddar cheese rolling festival. Cool! 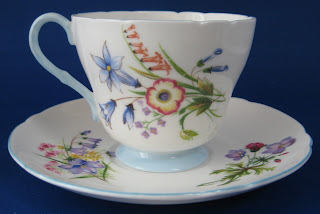 Have just been adding some super cups and saucers to Antiques And Teacups, so will have to decide which to share tomorrow for Teacup Tuesday...a nice problem to have! Have a great day, and see you tomorrow! Happy Pink Saturday with How Sweet The Sound. 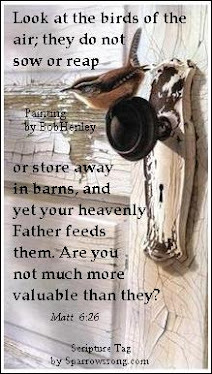 I love the sharing that goes on...the beautiful, creative posts. So much fun! 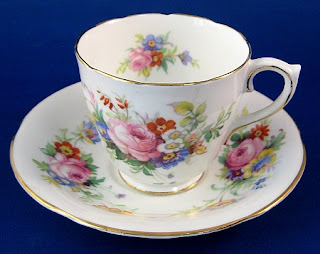 This is a pretty pink rose bouquet teacup and saucer made by Spencer Stevenson, England in 1948-1951. I love the pretty bouquet pattern. Love the pink roses! 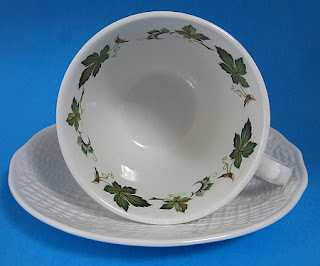 To see more info about the cup and saucer at Antiques And Teacups click on the photos. 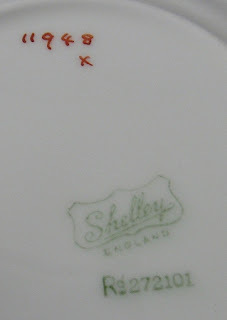 The hard back book is filled with Sandy's lovely paintings and wonderful quotes pertaining to tea and friendship. I received the book in 2003 from a dear friend. 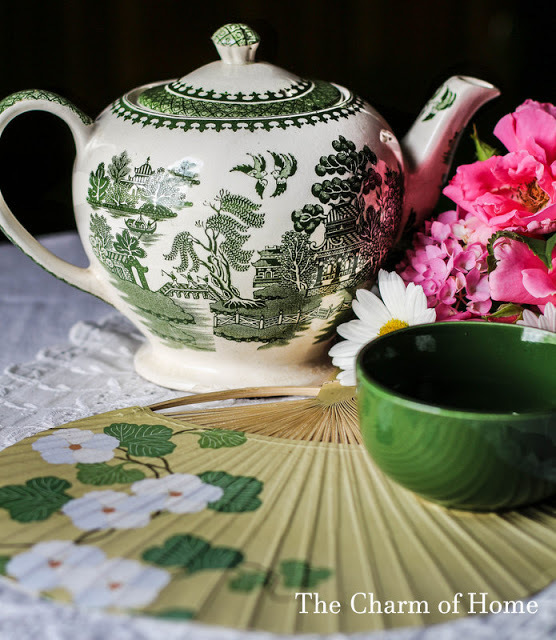 "Somehow, taking tea together encourages an atmosphere of intimacy when you slip off the timepiece of your mind and cast your fate to a delight of tasty tea, tiny foods and thoughtful conversation." The sweet warmth fills the heart." Good morning! I feel I am again in the land of the living after a week in the twilight. I spent the week starting last Friday pm going thru tooth problems which have taken a week to get solved. The problem started with extreme pain starting Friday night...of course after the dentist's office was closed...so I took ibuprofen and tried to avoid touching it or eating anything hard. Saturday no better but thought I could make it to Monday. But Sunday...much worse, so called my dentist at home. He called in a heavy duty pain killer & told me to come in 1st thing on Monday. Monday...couldn't see the reason on xrays, so referred me to an endodontist...who had Monday off & couldn't see me until Wed.
Got there and the endodontist attempted & failed root canal because she found a crack so recommended removal of the tooth. The neat part was that the oral surgeon about 2 blocks away had just had a cancellation if I could come right away. Could I????? YESSSS! So I had it removed with so-called laughing gas. I don't even remember having it removed, or even being driven home by my husband. Now that's good stuff for surgery! 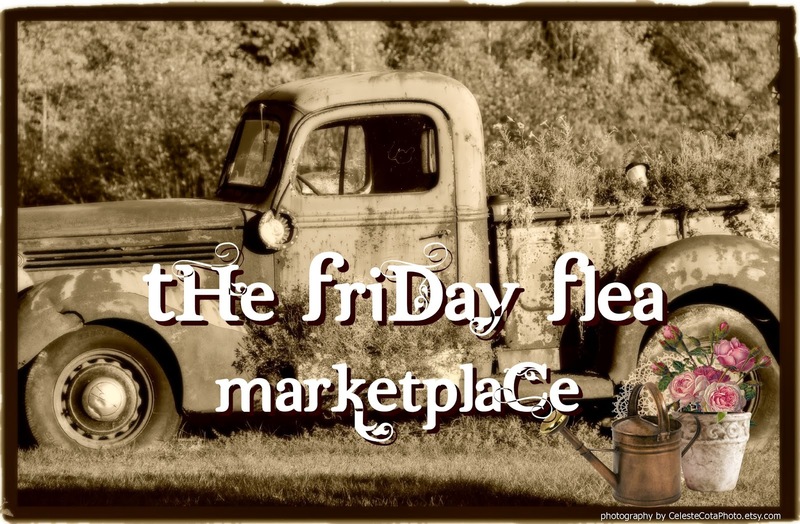 BUT...I suddenly realized it's Friday again...a lost week. Guess what? The world is still turning and nothing much has suffered in my absence! I had all these plans for the week...nothing got accomplished. I had a lot of ibuprofen, applesauce & bananas but none of the things I thought so important were done. Psalm 31:15-16 says the my times are in His hands...and that was certainly proved true. If this had happened last week when we were on holiday with friends...how horrible that would have been! So I am a very grateful kid today!!!! I wanted to share an experiment. 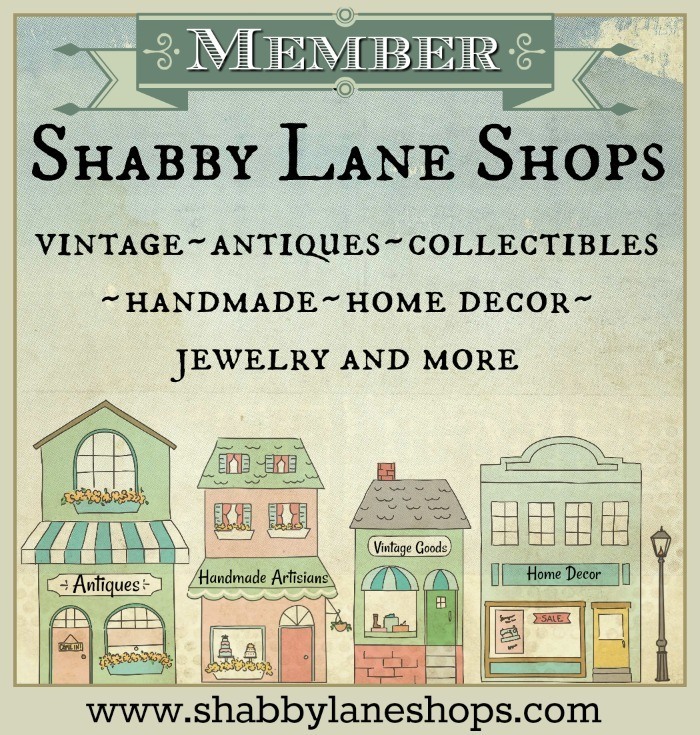 When you have been in the antique business a long time you accumulate lots of odds and ends. 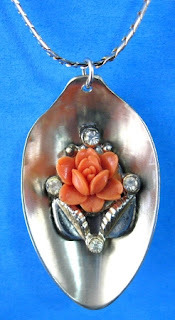 My husband, having been a jeweler, was cleaning out an odd and end box and found some old worn silver plated coffee spoons and some broken vintage rhinestone jewelry & decided to make pendants. My first thought was...Huh???? But they are really cute! So what do you think? Different and fun! 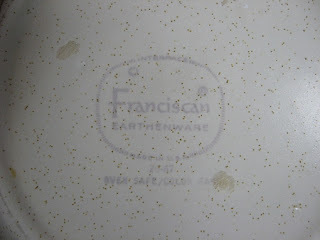 Also...I love the idea of recycling something that would otherwise be junked and unappreciated. 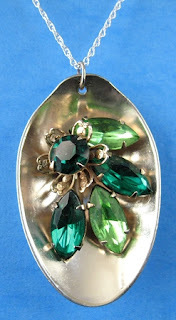 For more info on the necklaces at Antiques And Teacups, click on the photos. Further recuperating today. Rain showers so a short walk & resting. Have you ever thought how difficult it is to plan meals with soft foods or liquids? Sheesh...boring too! And as I've been doing it for a week I'm about out of ideas! Have a great Memorial Day weekend and thank you for our troops past, present and future for allowing our free country and lifestyle. 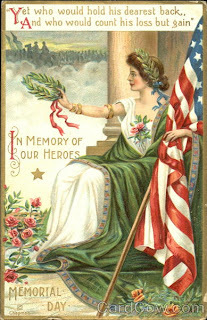 Memorial Day postcard courtesy of CardCow. 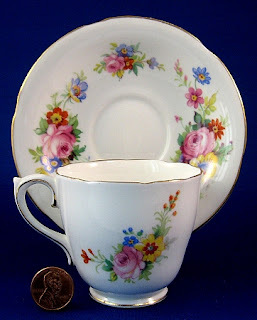 Happy Teacup Thursday with Miss Spenser's tea blog. 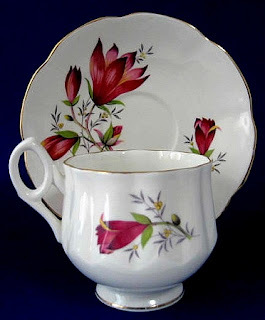 I am a bit distracted tonight ...I am posting tonight for Teacup Thursday because...lucky me...I am having a root canal tomorrow morning. Oh joy. but...that's nothing compared to what the tornado torn mid west is going through so I am not complaining. I just can't think what it would be like to face something like that...truly terrifying. My prayers are with those who are suffering. The link on the sidebar for the Japanese earthquake & tsunami can also be used for donations to World Vision who are right there in tornado alley with basic needs for folks. 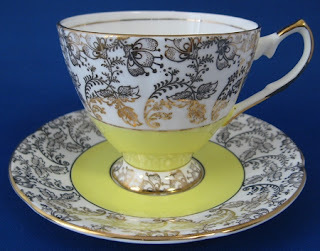 The teacup I have to share is an Elizabethan, England yellow and gold chintz teacup from the 1950s. The yellow seemed so cheery and bright...and my thoughts needed a bit of lifting. Scripture says to count it all joy when you encounter various trials and I believe that promise! 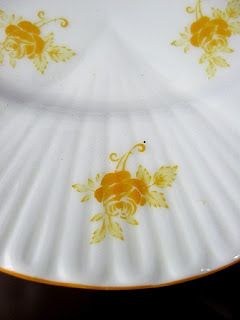 To go with this pretty and cheery teacup, I would serve some scones and cream on this rarely seen Shelley China yellow Rosebud chintz in the Dainty shape. How could you not smile with these around? 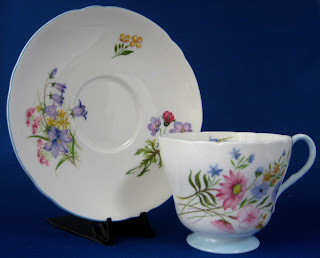 To see more about the teacup and plate at Antiques And Teacups click on the photos. 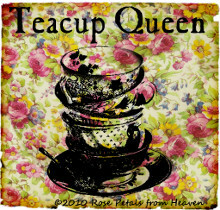 It's time for Teacup Tuesday and for all the other tea realted blog parties! Forgive me if my spelling or syntax is bad...on codine with a bad tooth that can't be seen to until tomorrow, so I thought I'd better do my post now. Got home from our holiday on Friday with no problem, and Friday night it hit. I am so grateful it wasn't when we were out of town!!! 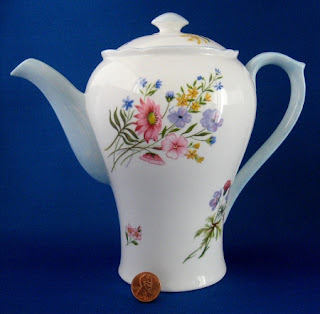 This is a wonderful and large all white porcelain teapot I just listed at Antiques And Teacups that I fell in love with. I happened on an antique market in a small town last weekend and jumped on this cutie! 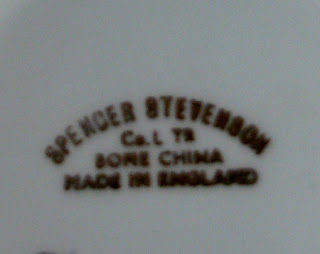 The teapot is unmarked but is extremely well made. It's also quite large. 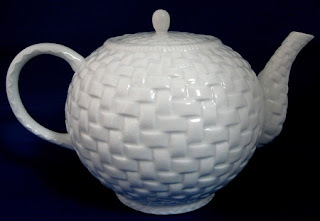 I love the basket weave pattern. 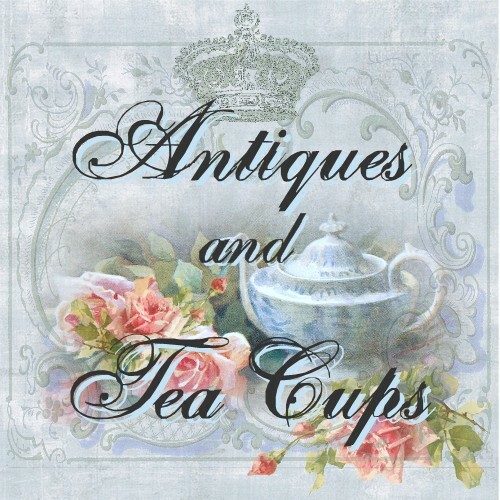 For more info on the teapot or teacup at Antiques And Teacups click on the photos. 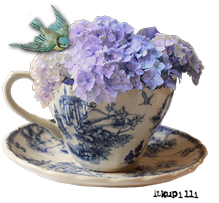 Have a lovely day visiting all of the Tuesday tea party blogs! From the Metro News online in the UK...Princess Beatrice's famous pretzel hat that she wore to William and Kate's Royal Wedding by Philip Tracy ends tonight and is currently at 80,000.01 pounds...or roughly $155,000 and finishes later today with proceeds going to UNICEF. 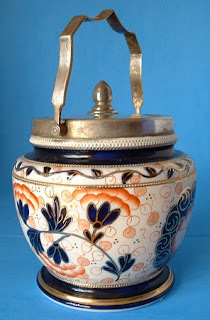 Sort of on a British theme, I just listed a fab English Victorian Imari or Gaudy English biscuit Jar or cookie barrel that I just love made by Wood & Sons. 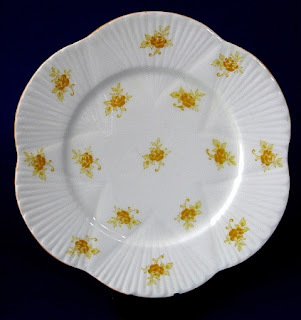 Imari is the name of the design style named for an area of Japan that devised the distinctive color combinations that was also echoed in styles called Gaudy English and Gaudy Welsh. No shrinking violets here! 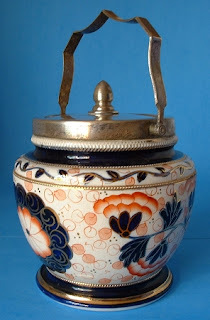 For more info on the Antique Imari Biscuit Jar at Antiques And Teacups, click on the photos. Found it at an antiques market in Camden Town at the weekly Lock market in the Horse Hospital. The building apparently used to be a horse hospital. Camden has always been a favorite shopping venue for us and we love Camden Passage as well with it's quirky little stalls and stores. On Saturday, folks without shops set up along the walks and canal fences with their wares laid out on blankets or folding tables. This is a picture of the Camden Town Crier outside the entrance to the Camden Lock market. My honey is at the rear facing forward in his cap waiting for me while I took the photo. We have been gone for a week on holiday, so I am a bit late...oh well...hopefully better late than never. Happy Pink Saturday with Beverly at How Sweet The Sound. 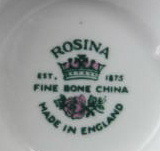 I love the pink crocus' on this vintage Rosina, England teacup and saucer that was made around 1960. Or at least I THINK they're crocus'...might be something else. The shape looks like a crocus, although mine were yellow or purple, so what do I know! Foe more info on the teacup at Antiques And Teacups click on the photos. When we left, our tulips were just opening and now most of them are past their prime already. What a difference a week makes. We also came home to a lawn that had enjoyed a few days of sunny weather and taken advantage of it in an incredible growth spurt. Sheesh...my honey was thrilled! We had a great visit in Vancouver, BC and surrounding areas. Haven't downloaded photos or gotten organized to tell you about some of it, but will soon. Suffice it to say we had a great holiday in favorite places, ate too much, laughed a lot and generally enjoyed being cut free from normal routine. But it's good to be back as well. Missed my cat Tinker...the one who runs the house, bullied us and disappears when the doorbell sounds. The neighbor who looked after him, stopping in several times a day never saw him. We weren't surprised. He didn't come out from under the sofa for the first hour we were home. Then came out as if nothing had happened and we hadn't been away. Bit jumpy at noises he thinks might be someone approaching the door, but...same tyrant and demanding gourmand. Have a wonderful day visiting with the Pink Saturday crew...I'm looking forward to it! spent the night and then caught the Amtrak Cascades train to Vancouver, BC Canada where we are visiting friends for a week. Which was so much better than flying the short distance. We had seats on the water side, a beautiful views of the coastline as we traveled. Very restful...plus a bistro car & free wifi...although my laptop hates wifi. We are in Richmond, bt Steveston Village. A lovely area. Now the fun news I found in the local paper. Remember Princess Beatrice's hat from Prince William and Catherine's wedding? 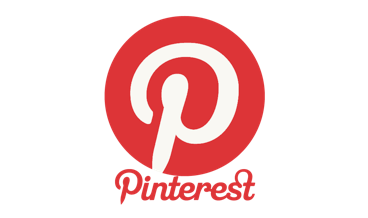 It was variously called the pretzel, antlers of thge UFO antenna to name a few and spawned blogs and acres of print. Well Buckingham Palace announced today that it will be auctioned on ebay to raice funds for a UNICEF charity with an opening bid of $8,000. Any bidders??? 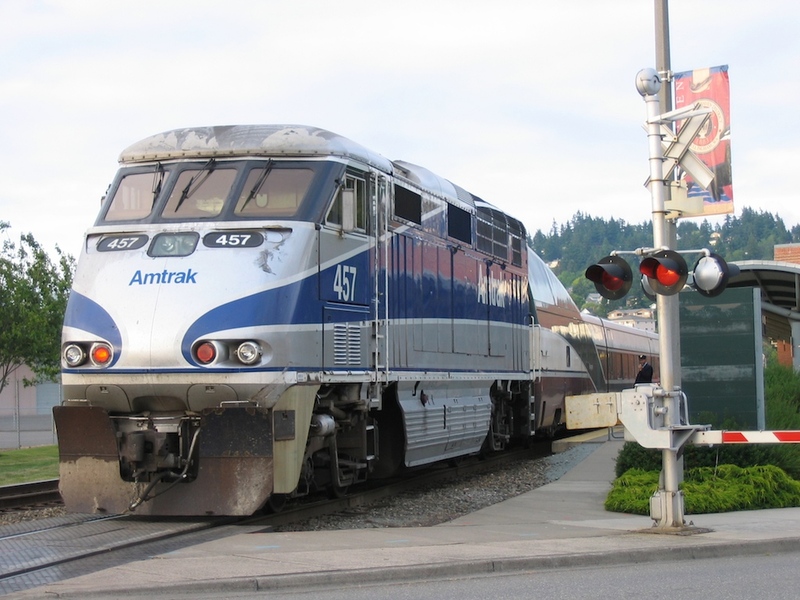 I will be out of computer range at a friends rural cabin overlooking the Inside Passage in Sechelt, BC over the next week, so won't be able to post much...unless I get to a place my laptop likes. 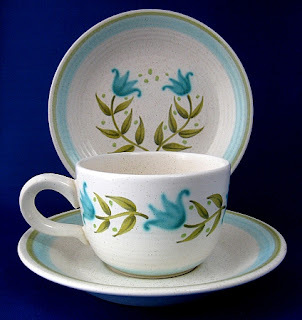 I usually prefer bone china to stoneware, but my yard is finally filled with tulips so I wanted to share this Franciscan set called Tulip Time. Now, my tulips are pink & red & yellow...I suppose there are blue tulips, but I don't have any in the yard. 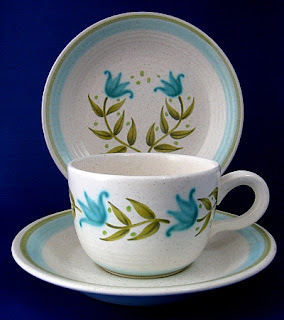 This set, often called a teacup trio, was made in England between 1963-1973. In 1973 production was moved to the USA. I really like the retro colors of green & turquoise. Cool! 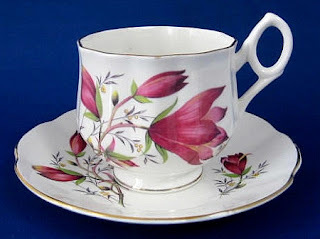 For more info on the Franciscan Tulip Time teacup trio at Antiques And Teacups, click on the photos. I hope you all had a lovely weekend. We had quite a bit of sun among the clouds and everyone really enjoyed spring. 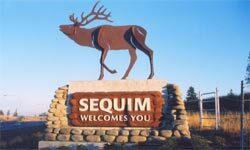 This last weekend was the beginning of a week long celebration here in Sequim, Washington called the Irrigation Festival. Yep...you heard right...Irrigation Festival. We even have an Irrigation Festival queen and her court! Sequim, in the the rainshadow of the Olympic Mountains of Olympic National Park gets a very small percentage of the rain the rest of the area gets. The area is actually considered a prairie...complete with a large Roosevelt Elk herd that gives us our city symbol, Bucky The Elk. 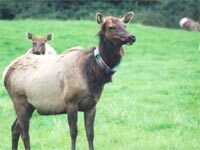 Highway 101 bypasses (just) the city, and where else that I know of are flashing signs warning of an elk herd close to the highway that are triggered by radio collars on some of the herd. Luckily, we have only seen them off the road...but there have been a lot of car/elk collisions. Below...a herd on the road and an elk with a radio collar. I'll have to take a photo of the sign...never thought of it! Have fun visiting the other teacups!